Back in the days before parents routinely started encasing their kids’ heads in cycle helmets from the age of around six months (and I place myself in that category) the first bit of proper cycling kit a youngster might aspire to was a pair of gloves. Cheap enough to be within reach of a few weeks of paper round money, they were the gateway to the world of becoming a “cyclist” and not just a rider of bikes. I don’t specifically recall my first pair. 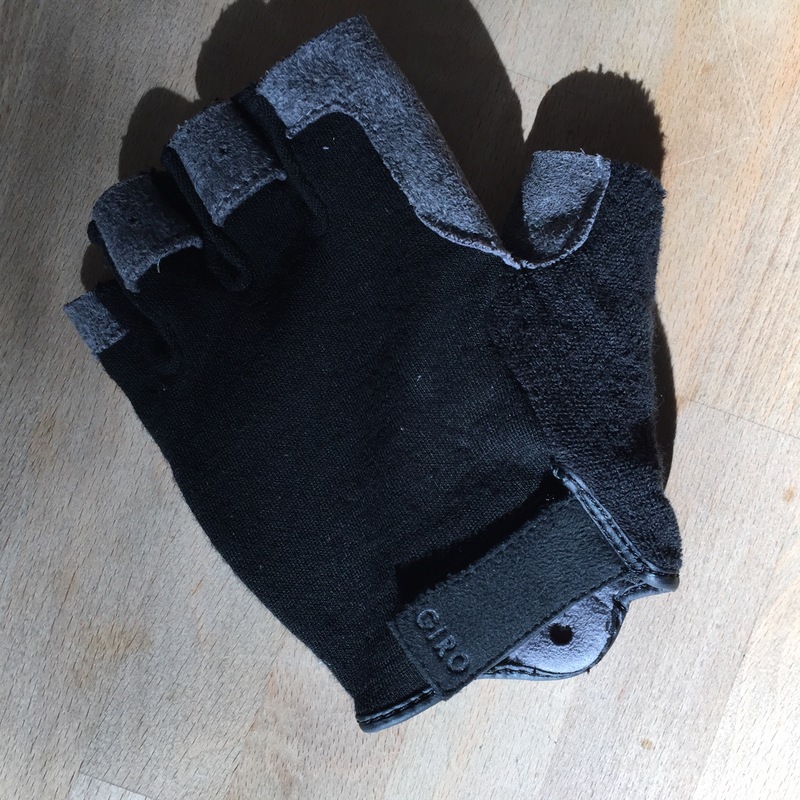 I expect that, like much of my kit at the time, they would have either have been handed down from my brother or, if I was buying them myself, would have been something that resembled cycling gloves but weren’t exactly the right thing. I made this mistake a lot back then. They would have been fingerless fishing gloves, or weight lifting gloves or something. They would have done the job just fine but would have lacked the crucial element of making me look cool whilst doing it. They wouldn’t have had the right fit, features, label or something. I just didn’t get the cool stuff and I was pretty suspicious of anyone who did. Normally I would still be kind of very suspicious of a product bearing such an intentionally trying-to-be-cool name as “Hoxton™”, especially when the blurb proclaims that they “combine the exceptional performance and fit of road gloves with a hint of urban style” but the truth is that I saw these in a shop and liked the look of them before seeing what they were called. Learning that the attractive material used for the palm panels were made of merino wool only added to the interest. The lack of padding on the palms did give cause for a slight initial hesitation – after all isn’t that what cycling gloves are for? – but they were so damn fine looking in the that I simply couldn’t resist them. Form over Function? Perhaps Hoxton isn’t such a ridiculous name after all..
An initial issue went a long way to show how important the smallest details are with contact point products as even the shortest of rides suggested that something was not quite right with the right hand glove. The left hand was great – the gloves are snug fitting and, lacking the bulk and bumps of more padded offerings, feel much more like a second skin that an extra layer of apparel. 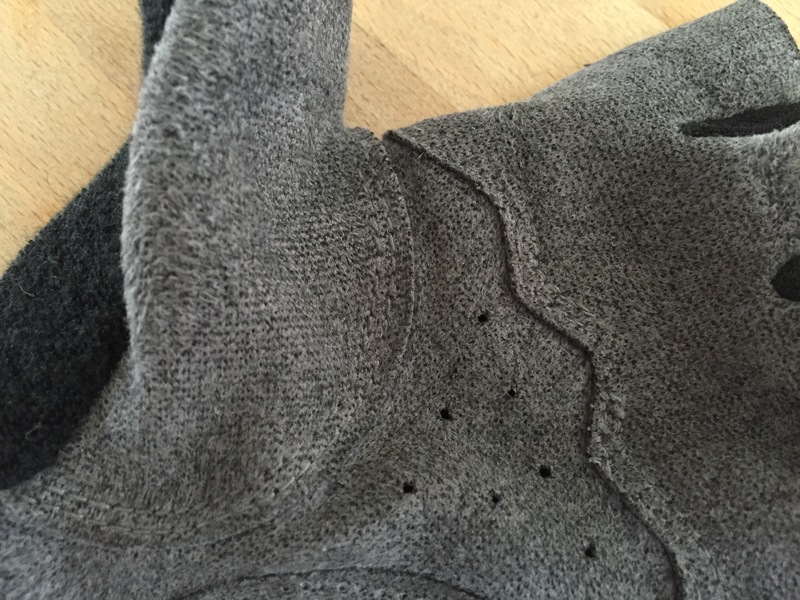 The merino material is delightfully soft and a pleasure to wear. The palm has none of that initial brittleness of sweat encrusted leather, nor the usefully stretchy but cheaper connotations of man made materials, whilst the upper have a useful microfiber sweat panel, generous wrist coverage and some interesting finger loops that will no doubt assist removal on colder days. As I’ve already said, everything in the left hand Hoxton felt wonderful. The right hand glove however presented a problem that, in the end, only a return and a swap would resolve. The two raised palm panels overlapped by a millimetre in the junction between thumb and forefinger – right where you apply pressure when you ride on the hoods – and it quickly became a source of irritation and discomfort. When the issue did not iron itself out over the course of a few rides the exchange to a different pair – done by the shop without fuss – solved the problem immediately. With the two panels now properly separated in all the other pairs I looked at in the shop it seems to confirm the problem as a one-off manufacturing issue. Not everything that we buy should necessarily be the most practical solution. Sometimes a bit of aesthetic ‘just for the hell of it’ is a good thing – it helps to remind us that, ultimately, cycling is an exercise in pleasure. Having some good-looking gloves to stare at all the while you are riding ain’t no bad thing. I know my 12 year old self would agree. This entry was posted in Product Reviews and tagged clothing, Cycling, fashion, Giro, gloves, hoxton, merino, Reviews. Bookmark the permalink.